1. Consider placing a bowl of crystals on your kitchen table, that include Snowflake Obsidian, Amethyst, and Apache Tears. 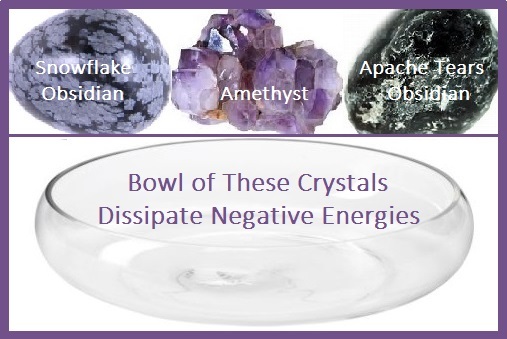 Together these crystals are wonderful for dissipating and removing negative energies. 2. 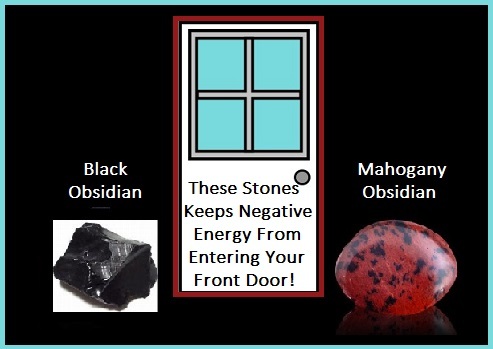 You may want to put a couple of chunks of Black Obsidian or Mahogany Obsidian outside on either side of your front door to keep negative energies from entering your space. 3. In the room where your front door (or side door—which ever folks enter through) is located, set a piece of Black Tourmaline in each corner. Black Tourmaline is a wonderful resource when you want to diffuse negativity and transmute the energy into loving kindness. 4. 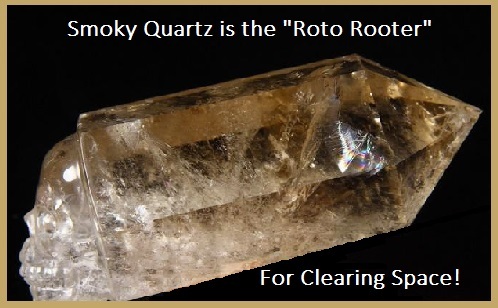 Smoky Quartz is one of the best crystals to clear unwanted and negative energy from a room or space. 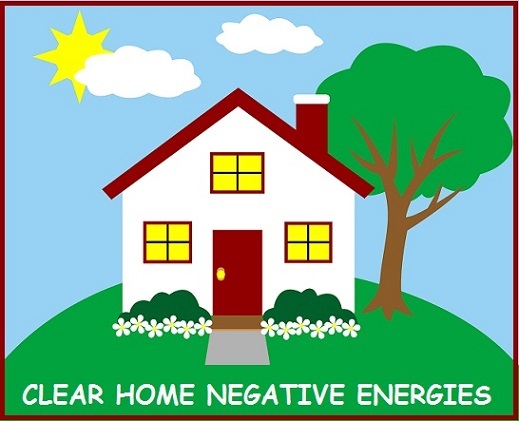 It will remove the dense energy and replace it with a clear, clean, uplifting energy. It is the “Roto Rooter” for clearing a space! 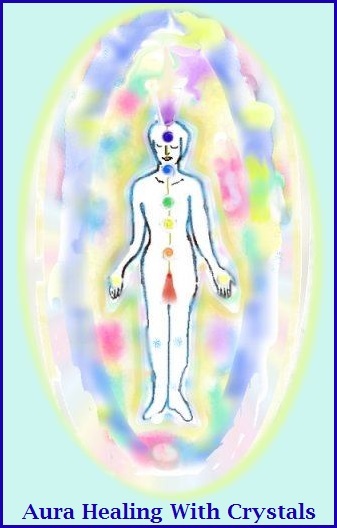 The energy field around a person’s body is the aura. There are basically four layers to the aura, but they tend to blend into each other. Our aura might need healing care, just like our physical body and chakras. Below are Crystals recommended for healing listed in the book, Crystals for Everyday Living, by author Christina Rodenbeck.